Above: Pastures managed using biodynamic principles, after 3 months no rain, note the friable soil, colour of the soil, green growth and root lengths. Above: Adjoining land holders pastures managed conventionally, after 3 months no rain, note the brown growth of the pasture, root depths and the colour of soil. What is meant by Biodynamic Soil Development? Biodynamic methods aim to develop soils that are deep, humus rich, biologically alive and nutrient rich. Through using this farming style soils can have a friable structure, drainage is better and can absorb water from irrigation or rainfall easily. Importantly, Biodynamic soils can hold more moisture ("Humus can hold the equivalent of 80-90% of its weight in moisture"-Olness,A,; Archer,D (2005) "Effect on organic carbon on available water in soil. "Soil Science 170: 90-101 ). 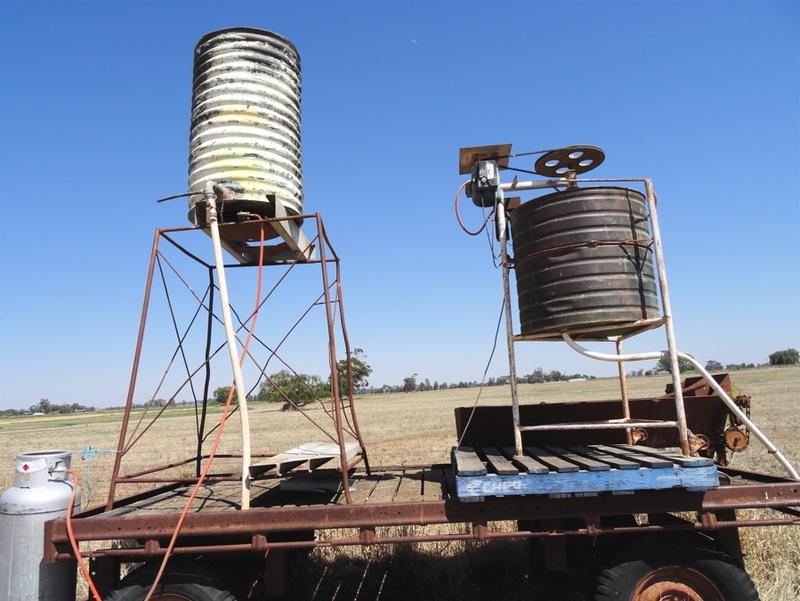 Crops and pastures can use this stored water, staying green longer in dry spells. Intervals between irrigations can be extended to as much as two or three times longer than before. What is the Australian Demeter Biodynamic method? This is the uniquely Australian-developed Biodynamic method, adopted on vast acreages in Australia, and increasing acreages in Europe and Asia. It was developed by Alex Podolinsky together with the professional farmer members of the Biodynamic Agricultural Association of Australia (BDAAA). 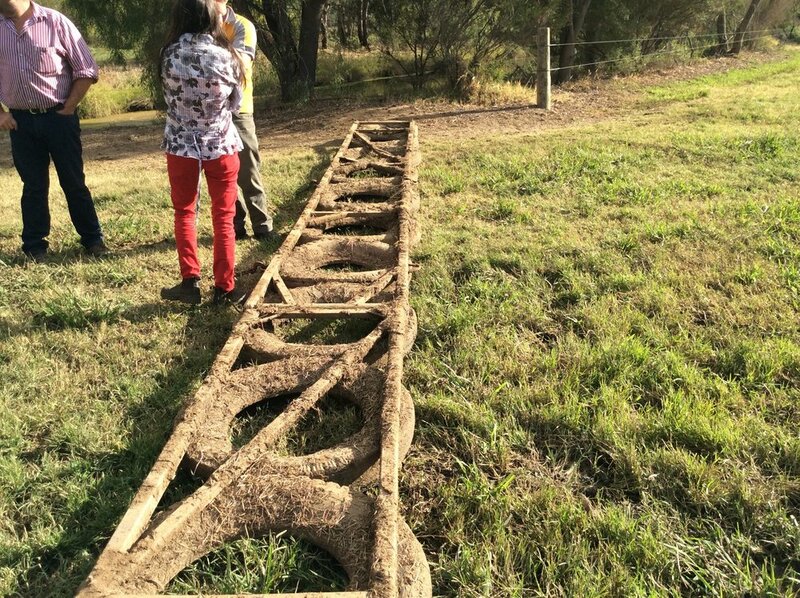 It is the method used by Demeter Biodynamic certified producers in Australia. Not all biodynamic farmers use the Australian Demeter Biodynamic method and you may find that other biodynamic practitioners will do things differently than the method described below and may make extravagant claims about biodynamics which are not based on practical results. 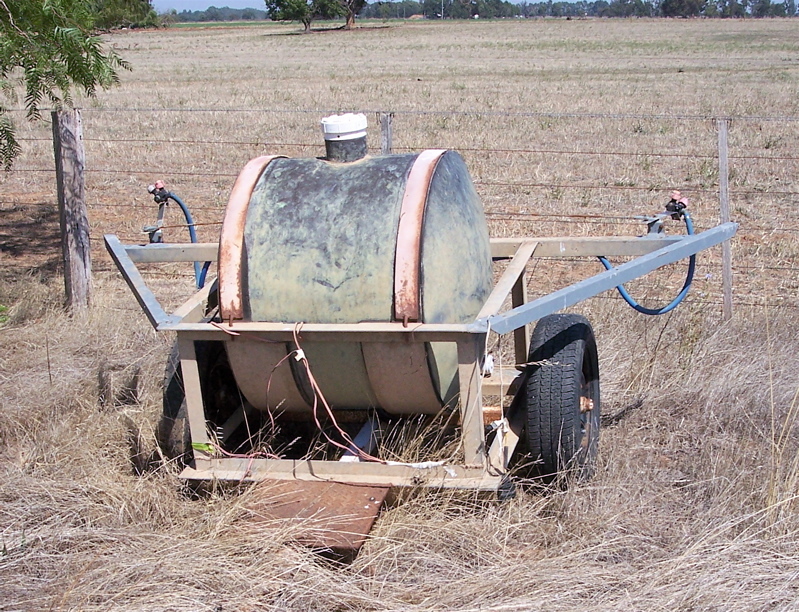 The Australian method was developed after 65 years of practical farm-based trials. The Biodynamic soil fertility spray 500 (a description of this product is on the tab "Biodynamic History") is sprayed on moist, warm soil at least once a year (twice if possible). It enhances microbial activity, humus formation and root growth. It works with actively growing roots to help build friable soil structure and assists the breakdown of green manures in the soil. The Biodynamic photosynthesis enhancing spray, 501 (a description of this product is on the tab "Biodynamic History") is sprayed to counter the effects of excessively wet, humid or cloudy periods and reduces the incidence of fungal diseases. This spray is particularly useful in horticulture. Rotational grazing over a large number of paddocks is practised, including electric strip grazing on cattle farms. In cattle farming, paddocks are harrowed to spread manure after grazing. Careful cultivation is practised to preserve and enhance good soil structure, using tractors of as low weight as practicable for the farm (to reduce compaction). Cultivation implements are chosen to “break” soil naturally rather than cut or mince it, thus damaging soil structure. For instance, tyned implements such as chisel ploughs or the Biodynamic Rehabilitator plough are generally preferred. Discs can be used with care. Sheet composting and green manuring with many different kinds of plants, is part of our method which uses the organic materials produced through photosynthesis via plant production eg: cover crops may be plowed in or slashed or grazed off for animal manures etc, then prepared 500 is applied to aid decomposition to produce humus and enhance root development. Static Compost heaps (if done correctly then no turning is required) are also used by those who have sufficient organic matter, animal manures and equipment to do so. 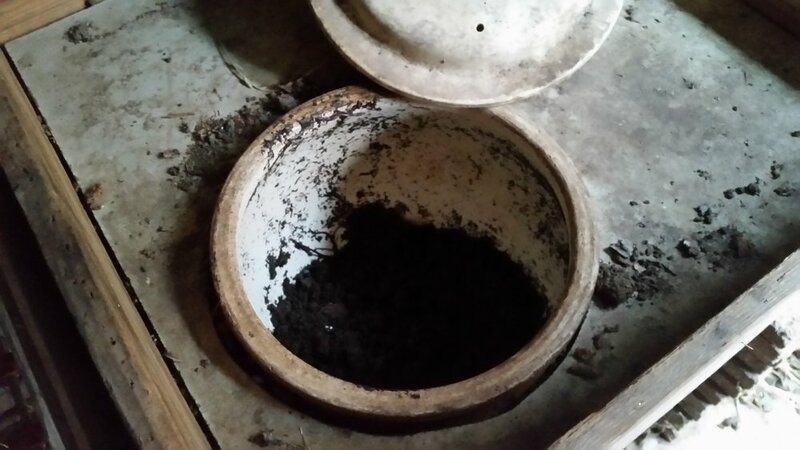 The decomposition of the materials used is aided by a set of compost preparations which are added to the heap after the initial high heat has diminished sufficiently . As with other organic farmers, Biodynamic farmers can use any fertilizer inputs allowed under organic regulations and any allowable natural pest and disease control materials. Some of the benefits this method may provide (see Farmers Articles). In general, because of the enhanced soil development under Biodynamic farming methods, Biodynamic farmers have found they require lower levels of fertilizer inputs than other organic farmers, and have relatively fewer pest and disease problems. Livestock on Biodynamic farms are very healthy and fertile, generally stock give birth without any issues, don’t require chemical drenching for worms (after conversion to Biodynamics, animals with a high susceptibility to worms can be readily identified, treated and sold after recovery – this way, stock are progressively bred for worm resistance) and have a very low incidence of metabolic diseases such as grass tetany and milk fever. What equipment is required for Demeter Biodynamic farming? Suitable tyned implements for soil cultivation (some farmers prefer to use the Biodynamic plough called the Rehabilitator plough. See video in FAQ tab). However, many existing farm cultivation implements will be suitable, if used with extra care. Split tyre or other type of pasture harrows for smudging cow manure (dairy or beef producers) after grazing paddocks. Manure spreader for dairy farmers fitted with a cowling over the beater blades, they can be used to make compost from dairy manure and hay/straw. With cowling removed, they spread the finished compost well. Demeter Biodynamic Static Compost heap. No turning required. Left: Water warmer . Right: Biodynamic Preparation stirring machine. Most important is a special copper or stainless steel stirring machine to stir the preparations (500 or 501) for one hour prior to spraying and a dedicated stainless steel or copper spray tank that is never used for any other purpose, to avoid contamination. These are made by specialist Biodynamic equipment makers, but can also be made by anyone with sufficient practical skills. The short 30 second video below, gives you an idea of the stirring action that activates the Preparation 500. (88 grams of 500 in 32.7 litres of water per hectare) . After stirring for an hour the micro-biology in this warm water will be sprayed out on the soil (with the spray out machine at the bottom of this page). This usually happens in spring and autumn when the weather is warm and the soil is moist. The micro-biology are then spread on the paddock as a starter, to increase biological actions, to break down old leaf matter, manures, root systems and other organic matter. This causes a composting action within the soil and creates a natural plant food known as humus (fully digested organic matter). The stirring machine in the video was built over 50 years ago and is still going, with only a few repairs over those years. The first stirring machine in the world was invented and built by Kevin Twigg (an early member of the BDAAA) from Kyabram Victoria after a request from Alex Podolinsky. This idea has revolutionised biodynamics and has spread across the world. 500 spray out machine suitable for four wheel motorbike. Do you have to be a certified Biodynamic farmer? Biodynamic Farmers don't have to be certified to gain all the benefits of the Australian Demeter Biodynamic method but they cannot sell their produce as Demeter Biodynamic. Demeter certification is available to anyone correctly applying the Australian Demeter Biodynamic method of farming, following the National Standard for Organic and Biodynamic Produce, for a specific period of time and going through the necessary procedures (for more information click the BDAAA links on the links page or email us). As in all farming, success in biodynamics really comes down to the individual, how they manage their farm and how they conduct their business. Certified Australian Demeter Biodynamic farmers are required to obtain their preparations from the BDAAA or from a BDAAA approved supplier. These preparations are made by a group of well trained and experienced volunteers in various places throughout Australia. Farmers are discouraged from making their own preparations because this is very difficult and time consuming and requires years of guided experience to reach an acceptable standard . For more information see Biodynamic Agricultural Association of Australia on the links page or email us on the contact page.